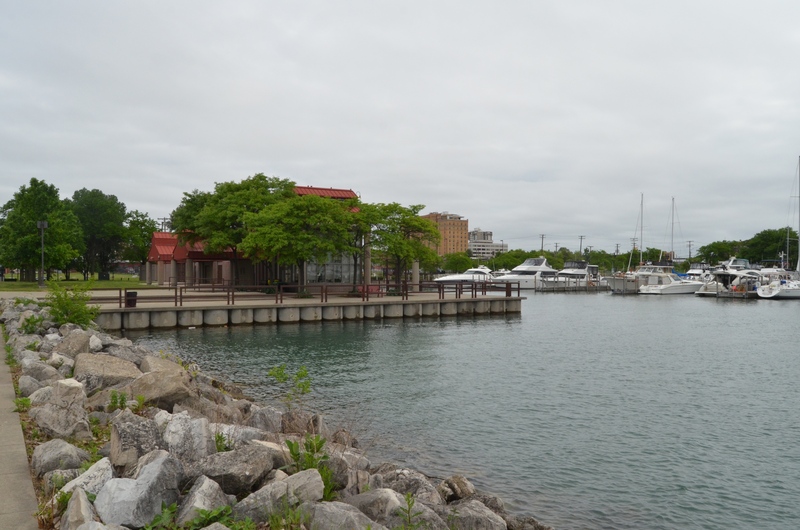 Michigan is home to more than 100 state parks and recreation areas, but only one is located in an urban setting. 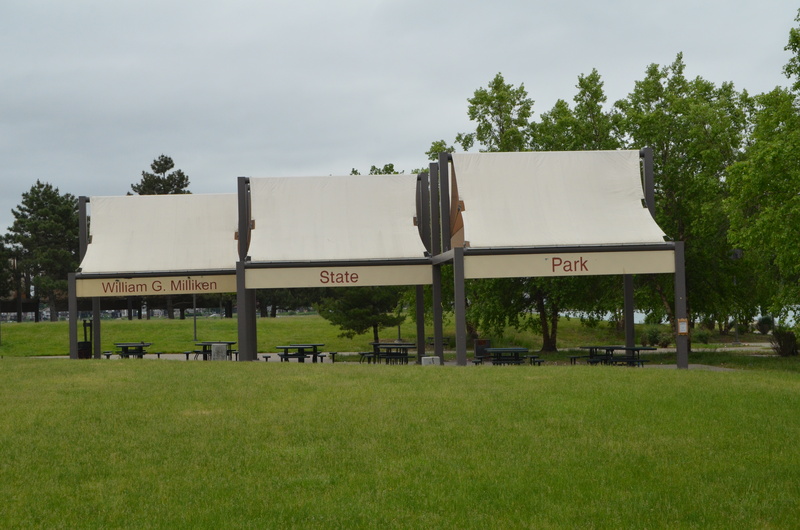 William G. Milliken State Park is not only located in downtown Detroit, but is also one of the newest state parks (opened in 2004). 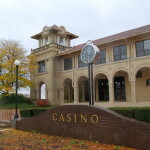 Located alongside the Detroit River, it is named for the 44th governor of Michigan, William Milliken, who was also the longest-serving governor (1969-1983). A native of Traverse City, Milliken flew 50 combat missions during World War II and is a Purple Heart recipient. 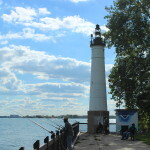 The park offers covered picnic areas, a harbor for more than 50 boats, shoreline fishing opportunities, and walking and biking paths along the riverfront. When we recently visited on a gloomy summer morning, there were plenty of people fishing near the lighthouse and a handful of people walking and biking the trails. 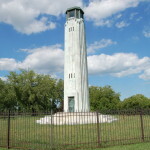 One of the focal points of Milliken State Park is its lighthouse, which is a scaled down version of the Tawas Point Lighthouse. 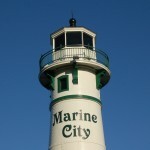 The tower here is 63 feet tall, while the original Tawas Point Lighthouse is 67 feet tall. 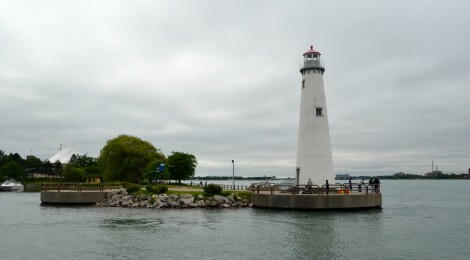 This light can be seen from nearby Belle Isle State Park and many other spots along the Detroit River. 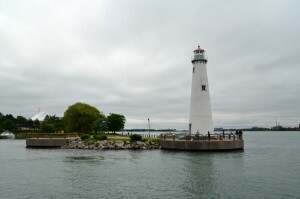 Every freighter headed to Lake Huron, Lake Michigan, or Lake Superior must pass this point, making it a popular spot for boat watching. 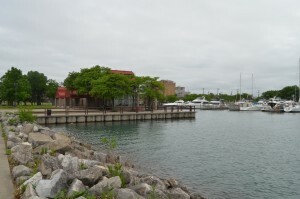 In 2009 a wetlands demonstration area was added, complete with informational plaques that tell how the wetlands here naturally clean water before returning it to the Detroit River. 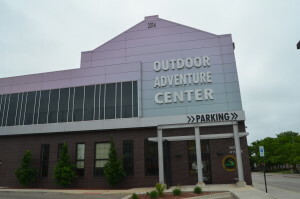 The DNR Outdoor Adventure Center can be found across the street. It invites visitors to “experience exciting outdoor adventures with hands-on activities, exhibits and simulators — walk behind and touch a waterfall, step into a fishing boat and reel in a big fish, hit the trail on a mountain bike or snowmobile, and much more. 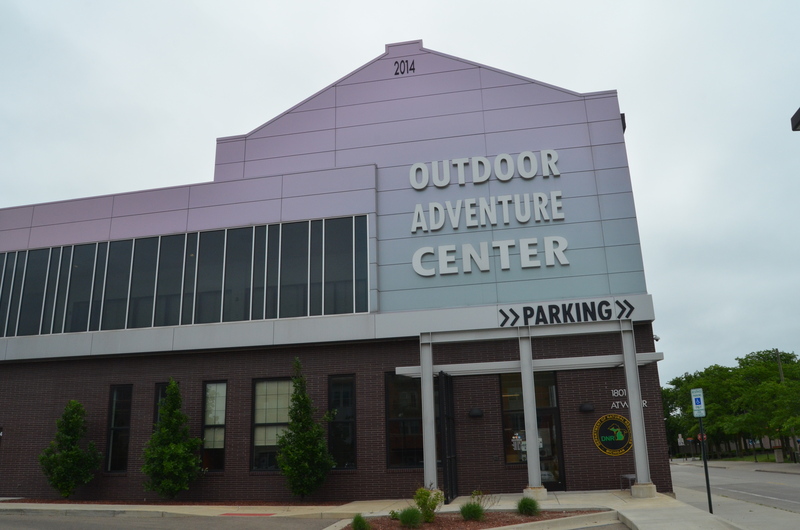 At the OAC, you’ll learn about how the DNR manages state parks, forests, wildlife and fish as you climb the roots and explore the canopy of a massive bur oak tree, hop aboard a real airplane, and see what’s swimming in our aquarium.” Find out more at https://www.michigan.gov/oac/. Milliken State Park and Harbor is located at 1900 Atwater St.